Architectural lighting design is a mixture of art and science. While creativity is necessary, a highly qualified professional architectural lighting designer is required. It requires mastery of the properties of light from a scientific standpoint and of the functioning of a light fixture. 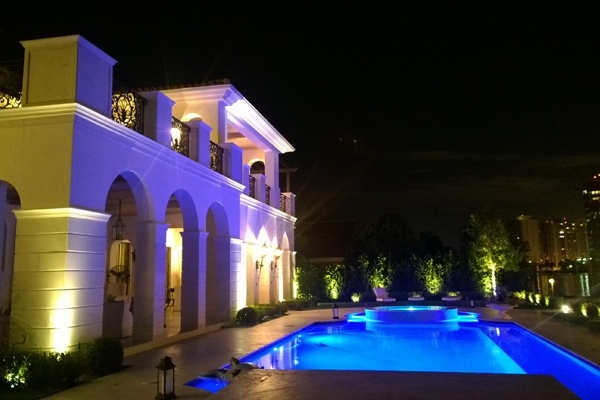 The outdoor lighting on this house is perfect for entertaining year round! Cesar himself would live in this palace! 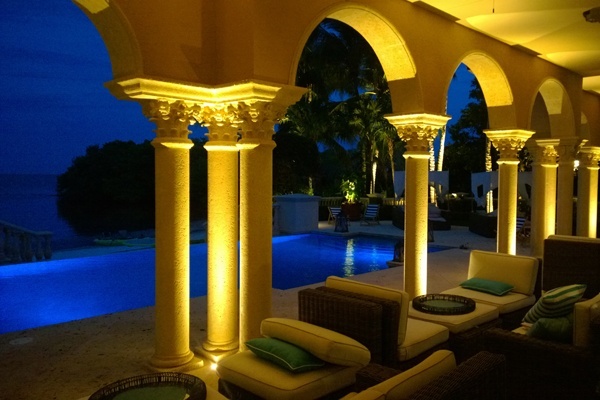 Look at how these Up lights are illuminating the Roman columns.